Analysis: Lambo missed the last two games due to a groin injury and will log a third absence Sunday. 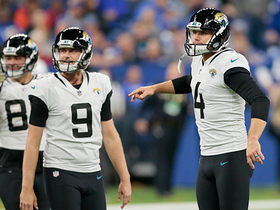 Kai Forbath will continue to serve as the Jaguars' starting kicker versus the Texans. Lambo performed admirably this year, going 19 for 21 on field goals and 19 for 20 on extra points, and is set to become an unrestricted free agent in 2019. Analysis: Lambo will end the season by missing the final three games as he was unable to overcome the right groin injury. The 28-year-old performed well in a low-volume role this season -- going 19 for 21 on field goals and 19 for 20 on PATs -- as he's set to enter 2019 as an unrestricted free agent. Kai Forbath will again handle kicking duties for Jacksonville in the season finale. Analysis: With inactive statuses for the Jaguars' last two games and back-to-back absences from practice to open Week 17, it's looking more and more likely that Lambo's 2018 campaign is over. The Jaguars will confirm Lambo's status for the weekend shortly after Friday's practice concludes, but Kai Forbath is tentatively in line to kick for the team in the season finale in Houston. Analysis: Lambo has missed the Jaguars' last two games with the right groin injury and doesn't appear to be trending toward suiting up in the season finale against the Texans this weekend. If Lambo is withheld from Week 17 action, Kai Forbath would handle kicking duties once more for the Jaguars. Analysis: With Lambo sidelined for a second straight game, Kai Forbath will handle the Jaguars' kicking duties once again in Week 16. In relief of Lambo last week against Washington, Forbath made both of his field-goal attempts and tallied seven points. Lambo (groin) isn't in line to practice Thursday. Analysis: A spectator for both of the Jaguars' first two practices of Week 16, Lambo is tentatively on track to sit out a second straight game Sunday against the Dolphins due to the right groin issue. Assuming Lambo is in fact inactive for the contest, Kai Forbath would handle the Jaguars' kicking duties again after converting both of his field-goal attempts and his lone extra-point try in the Week 15 loss to Washington. Lambo (groin) isn't expected to participate in Wednesday's practice. 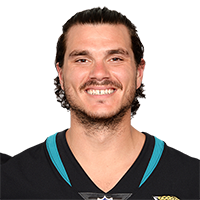 Analysis: The right groin injury forced Lambo's first absence of the season in the Jaguars' Week 15 loss to the Redskins, resulting in the newly signed Kai Forbath handling the kicking duties. Lambo's absence from practice to begin Week 16 preparations isn't a good sign for his early outlook for Sunday's game against the Dolphins, but he'll have two more opportunities to prove his health. Lambo (groin) is inactive for Sunday's game against Washington. Analysis: In his place, Kai Forbath will kick Sunday, but he'll be working behind a Jacksonville offense that ranks 30th in the league with an average of 16.3 points per game, making him a hit-or-miss fantasy option in Week 15. Lambo (groin) is listed as questionable for Sunday's game against Washington, Hays Carlyon of 1010 AM WJXL reports. 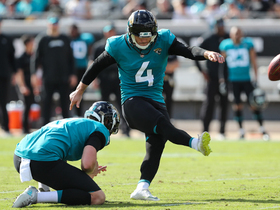 Analysis: There is enough concern regarding Lambo's Week 15 status that the Jaguars added fellow kicker Kai Forbath to their 53-man roster. Of course, given the state of Jacksonville's offense, neither kicker is a high-percentage fantasy option. With Lambo dealing with a groin injury, the Jaguars are slated to sign Kai Forbath, Ian Rapoport of NFL Network reports. Analysis: Per the report, Lambo's status for Sunday's game against Washington has yet to be finalized, but adding Forbath to the mix gives the Jaguars insurance in the event that Lambo is unable to kick this weekend. Lambo was listed as a limited participant at Thursday's practice due to a right groin injury, Daniel Popper of The Athletic reports. Analysis: Since Lambo didn't appear on the Jaguars' initial Week 15 injury report, the kicker likely tweaked his groin at some point after Wednesday's practice or during Thursday's session. Unless Jacksonville adds a kicker to the 53-man roster by Saturday, there won't be much concern about Lambo's availability for the Week 15 tilt with the Redskins. Lambo made his only extra-point attempt in Thursday's 30-9 loss to the Titans. 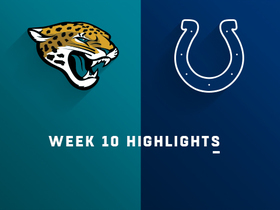 Analysis: The Jaguars managed only 98 yards of offense in the first half, so it may have been lucky Lambo was able to come out of the game with any points at all. 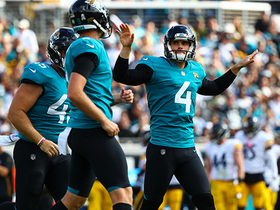 Replacement quarterback Cody Kessler has unsurprisingly done little to stabilize Jacksonville's offense as Lambo continues to be impossible to trust as a fantasy option despite his accurate season. Lambo made both field-goal attempts in Sunday's 6-0 win over the Colts. 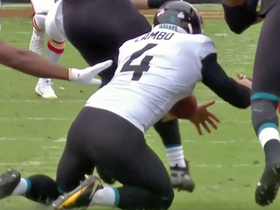 Analysis: Lambo converted from 30 and 37 yards on an afternoon in which the Jaguars totaled a mere 211 yards of total offense. The 28-year-old continues his solid season as he is 18-for-19 on PATs and 19-for-21 on field goals, though his fantasy potential continues to be limited by Jacksonville's sub-par offense. Lambo made all three extra-point attempts but missed a field goal in Sunday's 24-21 loss to the Bills. Analysis: Lambo missed a 42-yard field goal that put an end to a possession that saw the Jaguars drive down to the Bills' three-yard line, only to lose 23 yards due to a pair of penalties and a sack. The 28-year-old entered the Week 9 bye having not missed a field goal or PAT, but he's since missed a pair of field goals and a PAT. Lambo has been reliable despite any recent struggles, but he remains an untrustworthy fantasy option given the Jaguars' continued offensive struggles. Lambo converted all three of his field-goal attempts and his lone extra-point attempt in Sunday's 20-16 loss to the Steelers. Analysis: Lambo bounce back after missing his first kicks of the season last week by making field goals from 48, 38 and 43 yards. The Jacksonville offense continues to provide the 28-year-old with opportunities, as he is 9-for-10 on field-goal attempts over the last three games. Despite the recent success, the Bills underrated defense awaits in Week 12, which could be problematic for the one-dimensional Jaguars offense. Lambo converted two of three field-goal attempts and two of three extra-point attempts in Sunday's 29-26 loss to the Colts. Analysis: Lambo entered Sunday having yet to miss a kick this season, but that streak came to an end when a PAT was blocked in the second quarter. 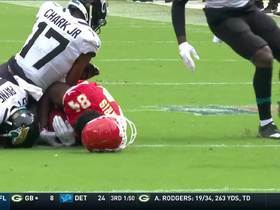 The 27-year-old missed a 52-yard field goal wide left later in the game, but he subsequently redeemed himself with a 55-yarder in the fourth quarter. Lambo has still put together a fantastic first nine games of the season and has accrued 20 points over the last two weeks. Lambo made all four field-goal attempts in Sunday's loss to the Eagles in London. Analysis: Lambo did not attempt a field goal in the previous three games, but broke through with kicks from 50, 57, 33 and 24 yards. The Jaguars offense was able to move the ball better than the last two weeks -- going three-and-out only once Sunday -- but were unable to finish drives, providing Lambo some clean-up opportunities. The 27-year-old remains perfect on the season with 12 made field goals and 12 made extra points heading into the Week 9 bye. Lambo converted his lone kick, an extra-point attempt, in Sunday's 20-7 loss to the Texans. Analysis: Lambo is now without a field goal since Week 4 and has only four extra-point attempts in that time. The 27-year-old has yet to miss a kick this season, but he's seen extremely limited opportunities with the Jaguars offense struggling to move the ball, let alone score. Lambo made his only kick, an extra-point attempt, in Sunday's 40-7 loss at Dallas. Analysis: The Jaguars moved the ball into Cowboys' territory only three times in the game, including the touchdown. Lambo has only three extra points over the last two weeks, as the offense has seemingly forgotten how to function. The 27-year-old has yet to miss a kick this season, but he is seeing limited opportunities. Lambo converted both extra-point attempts in Sunday's 30-14 loss to the Chiefs. Lambo made all three field-goal attempts and both extra-point attempts in Sunday's 31-12 win over the Jets. Lambo (hip) does not carry an injury designation for Sunday's game against the Jets. Analysis: Lambo didn't practice Thursday due to hip soreness, but he returned to a full session Friday and is thus set to handle the Jaguars' kicking duties Sunday. Three games into the season, Lambo has logged 21 points while hitting all five of his field-goal attempts and all six of his extra-point tries. Lambo didn't practice Thursday due to hip soreness, Daniel Popper of The Athletic reports. Analysis: On the plus side, Lambo is still expected to play Sunday against the Jets, a notion that would be solidified if the Jaguars don't sign any other kickers in advance of this weekend's action. Lambo made both field-goal attempts in Sunday's 9-6 loss to the Titans. 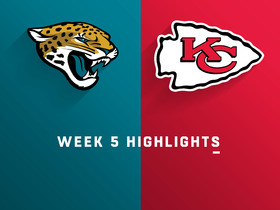 Analysis: Lambo provided the only scoring for the Jags on Sunday, as they mustered only 232 yards of offense. The field goals came from 38 and 46 yards, as the offense didn't register a single trip into the red zone. Lambo has yet to miss a kick this season, but the Jaguars offense is difficult to rely upon with Leonard Fournette (hamstring) not guaranteed to return for the Week 4 matchup against the Jets. Lambo made his lone field-goal attempt and all four extra-point tries in Sunday's 31-20 win over the Patriots. 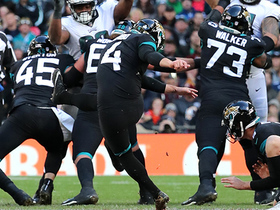 Analysis: The field goal came from 28 yards as Lambo had a relatively easy afternoon with the Jaguars in control for the majority of the contest. The 27-year-old is perfect thus far in 2018, having converted all three field-goal attempts and six extra points. Lambo made both his field-goal attempts and both his extra-point tries en route to eight points in Sunday's 20-15 win over the Giants. Analysis: Lambo's field goals both came from 39 yards. Since joining the Jaguars last season, Lambo has missed just one field-goal opportunity, making him reliable when called upon. Unfortunately, his scoring chances could be more limited than usual this Sunday versus the Patriots. Lambo can become a free agent after the 2018 season, Mike Kaye of First Coast News reports. 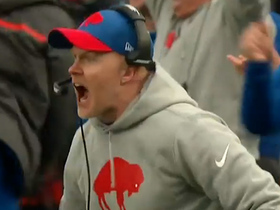 Buffalo Bills head coach Sean McDermott is fired up after Jacksonville Jaguars kicker Josh Lambo's missed field goal. 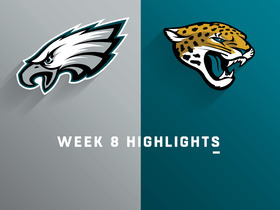 Jacksonville Jaguars kicker Josh Lambo sets franchise record on 57-yard field goal vs. the Philadelphia Eagles in Week 8 of the 2018 NFL season.